Custom Chillers, Chiller Manufacturer | CustomChill, Inc. 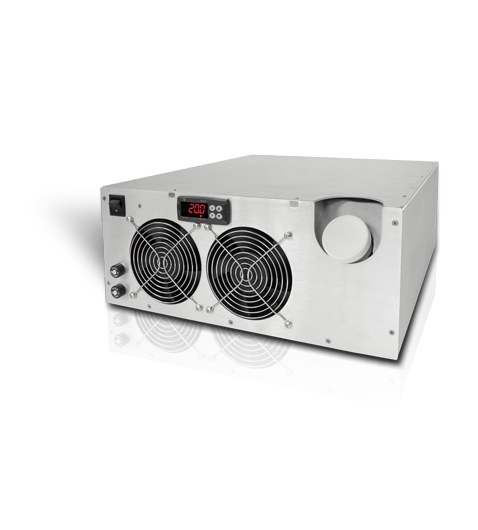 The CRAL300DP chiller is rated at 300 watts cooling capacity in a self-contained unit. This free-standing chiller is designed for ease of use and durability, with many standard and optional features. 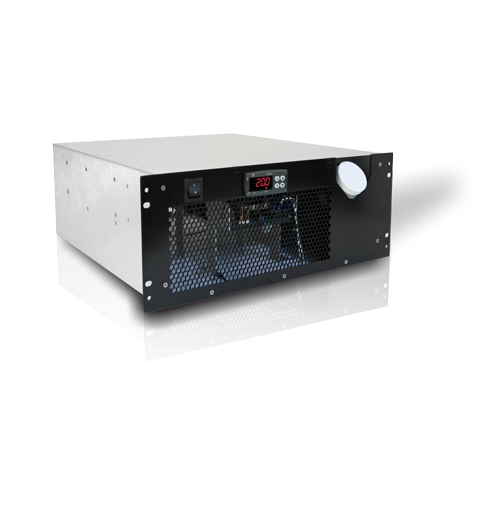 The CRAL300DRP chiller is rated at 300 watts cooling capacity in a rackmount unit. This rack-mounted chiller offers maintenance free, long lasting performance, with many standard and optional features. 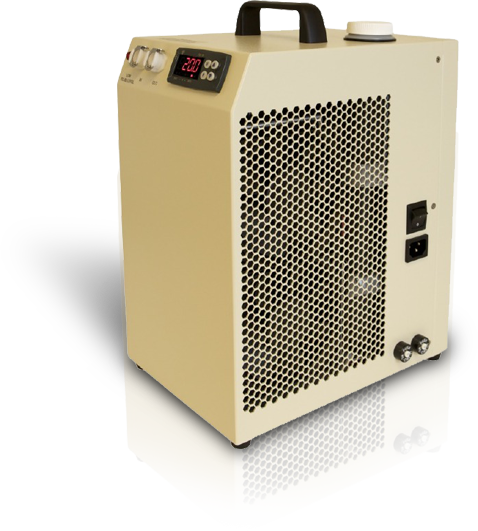 The CRAL400DP chiller is rated at 400 watts cooling capacity in a self-contained unit. This free-standing chiller is designed to efficiently handle high heat dissipation, with many standard and optional features. 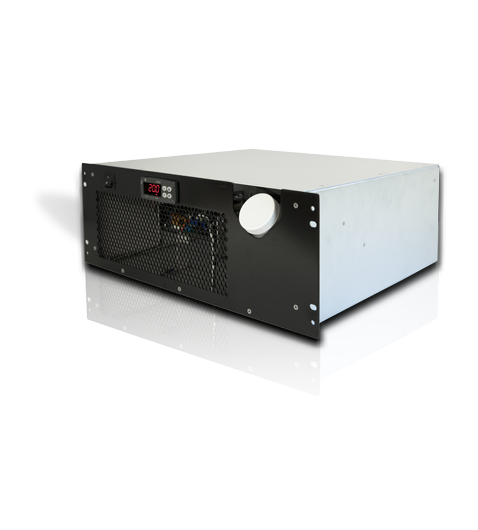 The CRAL400DRP chiller is rated at 400 watts cooling capacity in a rackmount unit. This high performance rack-mounted chiller is durable and compact, with many standard and optional features. We provide innovative solutions for your cooling applications. 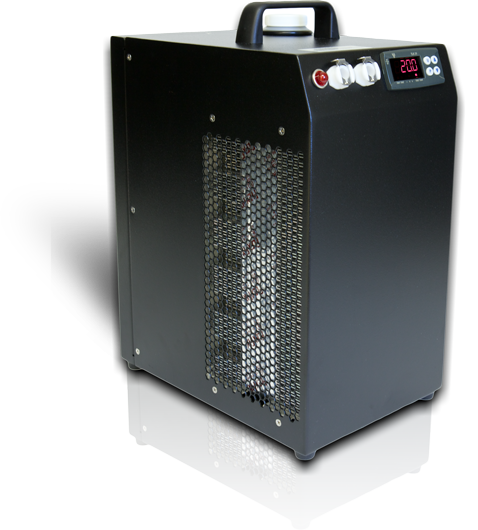 CustomChill is a leader in the design and manufacturing of thermoelectric-based cooling/heating devices. We utilize thermoelectric cooling (TEC) technology, smart design, and high quality electronic and mechanical components to ensure excellent, long-lasting performance. We offer a multitude of standard chillers as well as custom solutions. CustomChill specializes in custom TEC applications. You can use our expertise to help design your product or device to optimize the use of a thermoelectric cooling system in your application. We specialize in working with your design and engineering teams to create the chiller that exactly matches your requirements and specifications.CustomChill – the chiller manufacturer with Innovative Solutions for your Cooling Applications! A leader in the design and manufacture of chillers and cooling / heating devices. Our chillers are dependable, quiet, and high performance chillers. We offer the best service and technical support in the industry.